BSNL has come up with yet another broadband plan of Rs. 249, which is called ‘Experience Unlimited BB249’ offering 10GB data per day and unlimited voice calling as well. 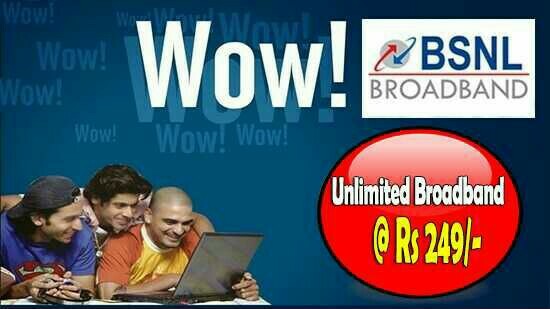 - The offer is limited to first 6 months.after six months plan shall be converted to ‘BBG Combo ULD 499’ plan. a) The plan shall be available only to the new Broadband customers. b) The plan shall also be available on FTTH with the same tariff.